Penguins spend a lot of time in the water, but they also depend on the land to settle their colonies. Besides cold waters, blocks of ice, tropical beaches, and rocky coasts are some of the habitats where they dwell. Penguins distribution includes several coasts and islands of the southern hemisphere, ranging from the northmost place in the Galapagos Islands to the southmost place in Antarctica. They inhabit places like New Zealand, Australia, Chile, Argentina, South Africa, Antartica, subarctic Islands and several other islands. Each penguin species has particular habits related to their habitat, the food availability, the dangers they face, and their anatomical constitution. So we can find penguins shy, sociable, temperamental, and even naughty. The diet of penguins varies according to the region where they live, but in general, they feed on fish, krill, and squid. They are experts swimmers that submerge several meters deep to get their favorite prey. Some species build their nests with stones; others use crevices in the rocky shores; others make burrows, and others must travel several kilometers to complete their reproductive cycle. An arduous stage in the life of penguins. Penguins are flightless birds. Their wings evolved into flippers that help them swim; they have a dense plumage adapted to the aquatic life that provides insulation from the water and a thick layer of fat that protects them from the harsh conditions of the habitats of some species. Penguins are noisy and communicative birds that use different vocalizations for each situation, but that is not all; Their body movements and eye contact are also common ways of expression. Penguins descend from flightless birds, although their ancestors were flying birds that after a process of evolution lost their ability to fly to became expert swimmers. While penguins are similar to some living birds, they are not closely related, and it is just a case of convergent evolution. Leopard seals, killer whales, and sharks are probably the predators that penguins do not want to meet in the ocean. While penguins are predators of some small forms of marine life, they are also part of the food chain and therefore several aquatic and terrestrial species feed on them. Some penguin colonies gather thousands of penguins and while they seem disorganized and wrapped up in chaos, they are not. Each Penguin knows its role in the colony and act based on their gender and sexual maturity and these colonies are survival mechanisms that help them reduce their vulnerabilities against predators. 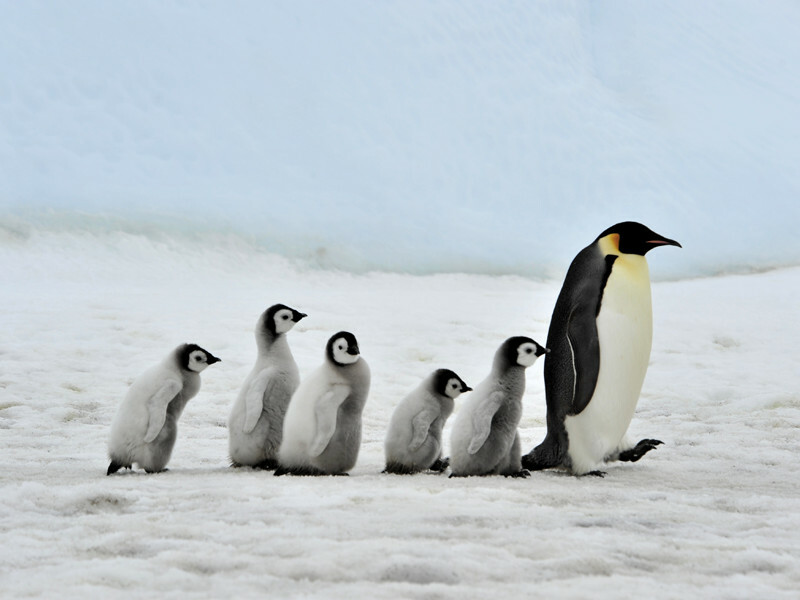 While some penguins lead a quiet and sedentary life, there are several reasons why other species move hundreds or thousands of miles annually.